Medicare has identified preventable hospital readmissions as a measure of the fragmentation of health care for the elderly, driving up health care costs. A new paper finds younger patients also fail to get needed follow-up care after a hospital stay. About one in 12 adults ages 21 and older were readmitted to hospitals within 30 days of discharge, according to the analysis from the Center for Studying Health System Change, a Washington think tank. About one in three were rehospitalized within a year. The findings parallel a recent Dartmouth Atlas study of the Medicare fee-for-service population that concluded that only one in five patients released from hospitals saw a primary care doctor within two weeks. 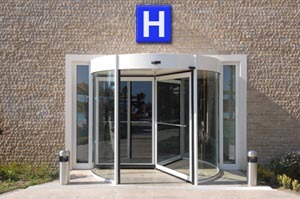 In the new study, 26 percent of readmissions were for conditions unrelated to the initial reason for the hospitalization. That finding bolstered the widely held concern that people with multiple chronic conditions, such as hypertension, heart failure and diabetes, are particularly at risk for continued health problems. Ages 65 and older: 8.9 percent readmitted within 30 days, 39.8 percent readmitted within a year. The readmission rates were lower than those published in the past, largely because the study excluded people who were so sick they needed to be discharged directly to another institution, such as a nursing home. And it included people enrolled in Medicare Advantage programs, who tend to be a healthier bunch. The study comes as Medicare readies some carrots and sticks to reduce readmission rates, as required by the Affordable Care Act. The agency is trying to use bundled payments for entire episodes of care, and establish medical homes to coordinate patient care more effectively. Medicare is also readying financial penalties for hospitals with high readmission rates within 30 days of patient discharges, which are scheduled to kick in next fall. The new study indicates that efforts to prevent readmission shouldn’t necessarily be limited to the first month. Ages 21-44: 5 percent readmitted in 30 days, 22.2 percent readmitted within a year Ages 45:64: 9.5 percent readmitted within 30 days, 31.7 percent readmitted within a year Ages 65 and older: 8.9 percent readmitted within 30 days, 39.8 percent readmitted within a year.